Camp Jack Hazard fosters personal growth through challenging and exhilarating programs and activities. Camp Jack Hazard offers many of the traditional camp experiences including campfires, skits, songs, games, theme days and camp dances. In addition, CJH offers unique Challenge Course, Arts & Crafts, Adventure, Backpacking, and Nature programs. Camp Jack Hazard fosters personal growth through challenging and exhilarating programs and activities. CJH offers many of the traditional camp experiences including campfires, skits, songs, games, theme days and camp dances. In addition, CJH offers unique Challenge Course, Arts & Crafts, Adventure, Backpacking, and Nature programs. 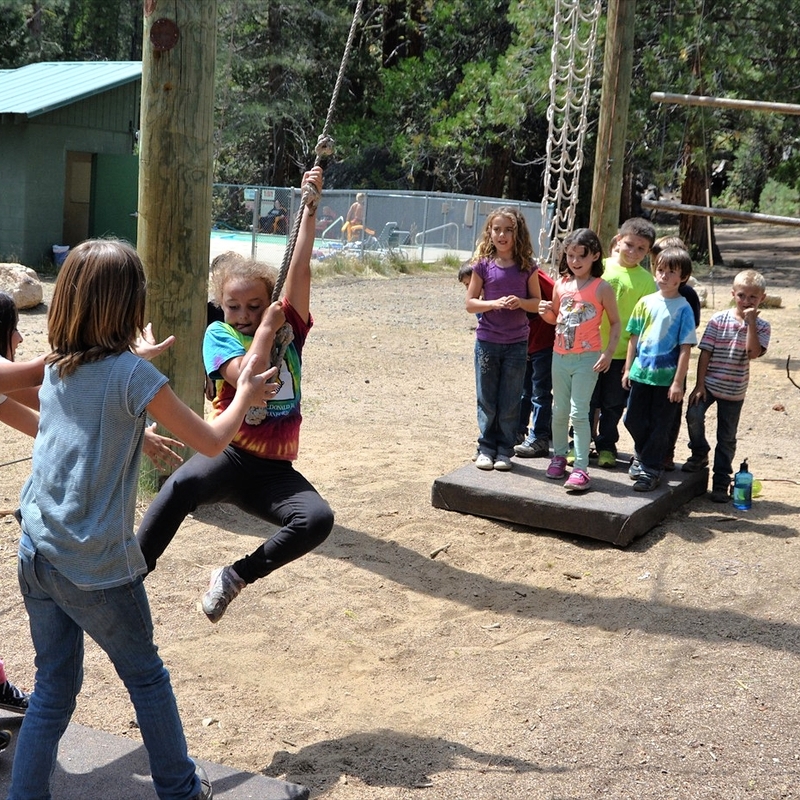 CJH offers both high and low challenge course elements to accommodate campers of all ages and abilities. Our 30-foot high challenge course has a variety of elements to push the personal limits of older campers, with our low ropes elements encourage teamwork and communication among all campers. Children can let their creativity run wild when painting, sculpting, tye-dying, making masks, candles, jewelry and music-making. The adventure program offers rock climbing, bouldering and rappelling with challenges for both beginning and advanced climbers. The pool at Camp Jack Hazard is always a popular camper retreat. With at least 2 fully certified life guards on duty, children have a fun and safe way to cool off from the summer sun. During full week sessions, campers have the opportunity to experience a two-night backpacking adventure to a location in one of the two pristine wilderness areas near camp. Many campers say that these overnights are their favorite activity at camp! Our nature program encourages campers to go on hikes, explore rivers, and climb mountain sides in order to gain a better understanding of the world around them.